According to the Rambam (Maimonides), a doorway must meet the following ten conditions in order to require a mezuzah. These conditions are useful as a checklist but can provide only general guidance. Although in practical halacha not all of Rambam’s definitions are followed unreservedly, they are all taken into consideration, and, when they are not met, may create a doubtful obligation. Though we are careful to perform the mitzvah of mezuzah even in situations of doubtful obligation, in regard to the recital of a beracha, which entails the uttering of the Divine Name, we may bless only when we are sure that the beracha is necessary. Therefore, in doubtful placements one should affix the mezuzah without making the beracha. Ideally, competent rabbinic guidance should be consulted in this matter as there are several exceptions to this general rule. Alternatively, one may affix a mezuzah on a clearly obligated doorway with a beracha and have the doubtful placement in mind. The Torah instructs that we must put mezuzahs on the doorposts of our “bayit.” Although in Modern Hebrew, bayit is generally translated as “house,” the Talmud writes that a bayit can even refer to a single room with a minimum area of four square amot. Practical halacha deals with the mezuzah obligation of rooms whose area is formed by different combinations of width and length (e.g. two amot by four amot). The Rambam rules that a doorway only requires a mezuzah if it is framed by posts on both sides. In practice we follow the authorities who require a mezuzah even when a solitary post stands on the right side of a doorway. The halacha deals with the dimensions and shape of these posts. In addition, it defines the exact placement of a mezuzah in archways and other unusual circumstances. A lintel (mashkof in Hebrew) is the horizontal bar framing the top of the doorway. The Rambam rules that without this very basic structural element, a doorway is incomplete and therefore exempt from a mezuzah. Practical halacha deals with lintels of unusual shape, position or purpose, as well as doorways whose ceiling can be seen as a lintel. The Rambam rules that a room without a ceiling is deficient, even if its doorways are otherwise complete. Practical halacha follows those authorities who obligate the gates and doorways of uncovered courtyards, patios, and porches in their own right, based on their opinion that the absence of a ceiling is integral to their design and their purpose. According to the Rambam, these spaces are obligated only when they open onto or lead towards a covered room. The Rambam rules that a doorway without a door is deficient and requires no mezuzah. Practical halacha follows those authorities who require a mezuzah on such openings, in most cases. The Rambam rules that a doorway must be of a minimal height of ten tefachim. Although the Rambam does not mention a minimal width, the halacha follows those opinions who rule that it must be at least four tefachim wide. The halacha deals with the correct placement of mezuzahs on doorways of unusual height. The special halachic issues presented by curved archways are also explored. The Rambam exempts these places precisely because they are dedicated to holy activities and not to normal dwelling. Indeed, the Talmud records that none of the gates and chambers of the Beit Hamikdash had mezuzahs, except for those that served as living chambers. 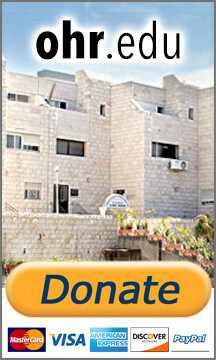 The Rambam exempts storage rooms and barns from mezuzah. However, Shulchan Aruch rules that since humans use these structures, they are considered human habitats, unless other factors render them unfit. This is the source of the well-known halacha that a bathroom or a mikveh does not require a mezuzah. Hotels, rentals, succahs, trailers, ships and private jets are just a few of the many structures that do not qualify as permanent dwellings. Sources: Rambam, Hilchos Sefer Torah 6; Agur B’ohalecha 2:75; Shulchan Aruch Y.D. 286-287 with commentaries.